Banking executives schedules are busy BUT we have you covered with today’s digital technology. In case you missed our “How Local Banks Can Deepen Relationships Through Video Banking” webinar, you are in luck! A recap of what you missed that you can listen to (we guarantee a great 35-40 minutes)! Community, regional banks, and credit union are seen as trusted advisers in their community. With digital transformation making paper transactions non-existent, bankers need to shift their focus to solving problems. Most of all, building digital relationships in order to increase wallet share with existing and new customers. The new banking customer-centric model. 75% of banks are making an investment in this area. Hear why 80% of banking executives have plans to roll out video banking and 50% of them in 2017. 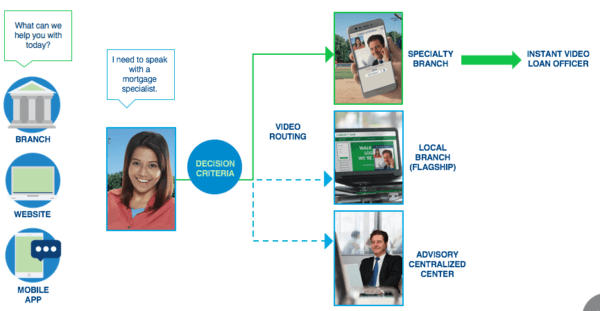 Listen to the “Deepen Relationships through Video Banking” recording and White Paper now.